I’ll start this editorial here with a hard truth: this is not the first blog post about the ridiculously popular app that came out last week, and it certainly will not be the last. I would like to think, though, that I can add some thoughts and unique experiences to the pile of articles already littering the Internet in the short time that Pokemon Go has been available to the United States. I’ve experienced quite a bit in my admittedly casual pace of playing at the game compared to other people, and it feels like this game has graduated, even if temporarily, from a cool Augmented Reality Game to a social experiment of sorts. As a bit of background, I’m not a huge Pokemon fan. It’s strange, since the game really does fall right into my wheelhouse- collect creatures, level them up, traverse the land looking for specific ones; really, the game is just a more innocent version of Shin Megami Tensei, which is one of my favorite series. I have fond memories of playing Pokemon Red in high school (it had been out for some time at that point, so don’t age me too much from that comment), and I’ve tried my hand at a couple recently, albeit with some intimidation. Those Pokemon have become a force to be reckoned with, and definitely more complicated with new iterations. Thereby, I’ve kind of been a bystander since the original 151. When the app came out, I started seeing a flood of posts across social media, and I definitely didn’t want to miss the launch of this game. Having played some of Niantic’s Ingress with varying levels of success due to my town’s ‘look of a city, feel of a suburb’ vibe, I figured what the heck. It’s the Pokemon that I know already, and I can get some exercise in maybe. There’s a beach down the street, there’s a graveyard nearby, and- aw, heck, everyone else will be doing it. Besides, as someone who is super interested in video game history, how could I miss being a part of an actual potentially historic moment? Gosh, am I glad I did. While playing through the introduction, I was greeted by the new Professor and was given the chance to catch a starter. Squirtle, for those interested, as if there could be another choice. Then, I was off. Well, not really. I was at my computer desk. I decided to step out to the park across the street, and saw multiple Pokestops- places to refill Poke Balls to catch the little critters and gain a little experience. A few little guys here and there popped up, but it was kind of a lonely experience. I took a loop around and walked back to my house. Okay. I could do this. It was fun and not too intrusive. I even went for a walk with my husband around the perimeter of the graveyard nearby. Sadly, all we found was Weedles. We assumed that they were feeding off of ‘nutrients’ in the ground and so decided to move along. The next day, I walked down to the beach. Having an affinity for water Pokemon, I wanted to see what there was to offer. This time, I saw a few folks here and there. A pair of brothers strode along, stopping every few feet. A girl standing on a small drain pipe aiming her phone into the ocean nearby obviously had found something. As I strolled, I saw a couple of souls here and there, and I even ran into another friendly player who had focused on the same Dratini as I had, and we made conversation for half an hour or so walking up and down the beach. It was surreal, but as we parted, we introduced ourselves, wished each other luck, and said we’d probably see each other around. Wait, what? I just met someone running around collecting imaginary creatures on my phone. I had heard some stories of folks being recognized as playing the game, but- surely, this was just a coincidence. An extra friendly soul who, like my social self, wanted to talk about something they had in common with another gamer. It was bound to happen once, and there was my one story from the launch of Pokemon Go. Smash cut to last night. I check on my phone to see what’s going on, as I can hear a few voices outside in the park. It’s literally across the street, so it’s hard to miss when people are conversing. My map shows two of the four stops outside littered with hearts, luring more Pokemon than usual to the area. My husband, our friend who was visiting, and I all go outside to take advantage. At no point over the next four hours is the small patch of grass and benches occupied by less than 25 to 30 people, a far cry from the usual three or four dog walkers or college students passing through. We walk up to the center of the park, and two guys, about our age, start talking about the Venomoth nearby, and how Team Instinct (one of the three factions in the game) has taken over a Gym nearby. We all talk about how crazy it is that this has become such a social thing, and how it’s cool that people are really getting along about it, guiding each other to rare Pokemon and setting up ‘modules’ to lure more to their spots for everyone. It isn’t long before we are joined by a woman, most likely in her late 40s to early 50s, asking about how to join a team and what’s in the area. We all laugh and joke, talking about how the game works. It’s a fairly unlikely grouping of people, but it’s happening. We’re all talking as equals and goofing about the same game. After a few minutes, we all disband and continue our collecting, wishing each other well. Hey, we might all be on different teams, but we’re all here for the same reason. As my husband and I wander back to our apartment- our friend left since his phone died, as this game can devour a battery like it’s candy- we happen by a group of three girls who could not have been more than Freshman year in college. They start asking about the hearts on the Pokestops and if this is some kind of meet-up. They seem excited and, honestly, it’s hard to tell them that it’s not. Just looking around, there are pockets of people socializing. People are throwing high fives and excitedly showing their phones to each other. Families walk through the paths around, stopping and laughing with each other as they all point their phones in the same direction. It’s kind of a phenomenon to behold. After we chat for another minute- we all agree that we’re terrible at trying to take over Gyms and share a laugh about it- my husband and I head home, and it’s sort of a whirlwind of conversation from there regarding what’s going on. Yes, there have been a few errant folks misusing or the app or just being downright malicious. Those stories, though, feel like they are heavily outnumbered by stories of people coming together and just enjoying each others’ company while playing a game. Yes, it still involves keeping your face in your phone. Technology has swayed, and people have been swept up in it. The amount of interaction that has already resulted from this game is astonishing, though, even if it may be fleeting. As a quick ‘review’, Pokemon Go is by no means a complex masterpiece, and there are plenty of features in the pipeline to show that. While server issues are common due to the sheer amount of players, those issues seem to be leveling out a bit as time passes. If you pick it up, don’t expect the tutorial to help nearly as much as it should. Much like the sudden surge in real life interaction, most of the instruction and help people are finding most useful is being traded between people in online forums and FAQs. Yet another way the game is, consciously or not, promoting conversation between players. Whether brief or ongoing, the game has become a moment in history so far as the industry is concerned. At the very least in my lifetime, I have never seen an epidemic of social rapport like this come from a video game. Folks are having a good time with it, and even if your friends are on separate teams or you aren’t interested in playing at all, it is easy enough to sit back and let a mass amount of people enjoy the experience while it lasts. Appreciate the experience for what it is in the gloom and darkness of the landscape of the world at the moment. 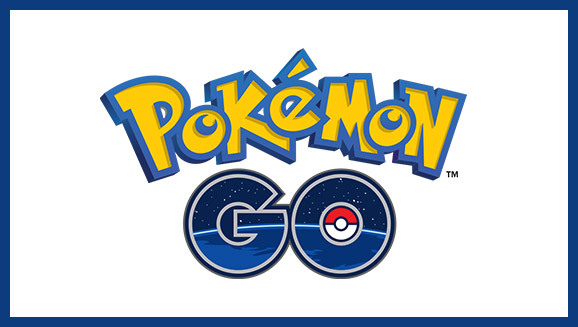 Pokemon Go may be new, but it doesn’t appear that it will be going anywhere anytime soon, if Niantic plays their cards right. To all of our readers and friends playing or getting the chance to play soon- happy hunting! Well written, Matt. Your park sounds a lot like Kenney Park here in Davis Square, Somerville, MA. Every night, the place is full of hunters, and a lot of them (myself included) have gotten chatting and laughing over the whole phenomenon. It’s a shame, but not surprising, that much of media has focused on the negative. I’m glad you feel otherwise, and so do I. Thanks, Andrew! I think we all knew some negative would come out of this- that’s how the media works nowadays, sadly, but with folks like you and I spreading the positivity of this new trend, I hope it drowns out the few that are trying to use this for malicious intent.